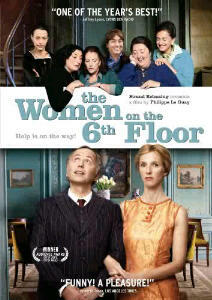 movies We Love The Women On The 6th Floor – teamgloria, inc.
Posted on March 16, 2012 March 16, 2012 by teamgloria in things. the jet lag is Lifting. heart-warming, eye moistening, curious twists and turns, the plight of the French bourgeoisie, the trials of Spanish domestic help and the clash of cultures that releases inner furies and passions to great import. Moments of Sheer Kindness and beauty………..always needed and definitely welcomed here at teamgloria. Next Post for the love of Roses….